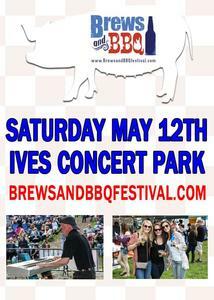 Brews & BBQ this Saturday at Ives Concert Park in Danbury! Saturday, May 12 from 3:00 pm - 9:00 pm at Ives Concert Park, 43 Lake Ave Ext. Dance, dine and drink with us for the evening at one of the Northeast's premier outdoor entertainment venues. Purchase tickets HERE ($15 general admission). For additional information including a list of performers and craft beer, visit i95 online here.